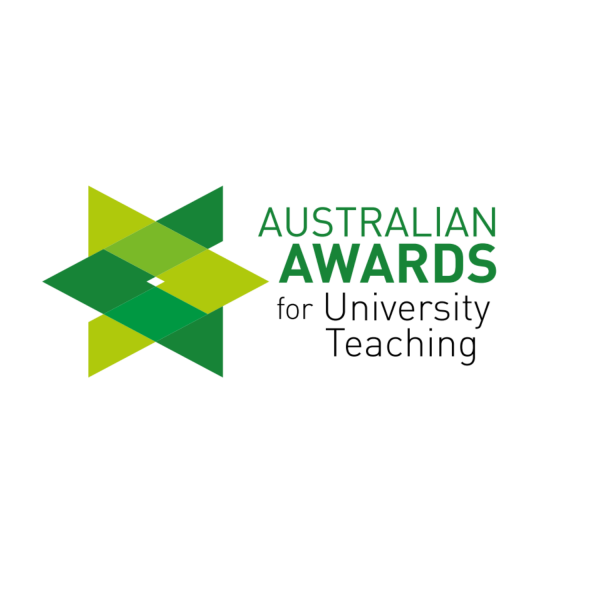 Congratulations to Dr Simon Iveson, Associate Professor Amy Maguire and Dr Marcus Rodrigs who were awarded Citations for Outstanding Contributions to Student Learning at the 2019 Australian Awards for University Teaching held in Canberra last week. Approaches to teaching and the support of learning that influence, motivate and inspire students to learn. Development of curricula, resources or services that reflect a command of the field. Evaluation practices that bring about improvements in teaching and learning. Innovation, leadership or scholarship that has influenced and enhanced learning and teaching and/or the student experience. Dr Simon Iveson from the School of Engineering has been teaching across engineering and chemical engineering for almost 20 years. He has a strong focus on practical methods. “I aim to improve student experiences by being professional in all that I do as a lecturer and making class time as interactive as possible using a variety of teaching techniques and technologies,” Dr Iveson said. After a decade teaching international law and human rights law, Dr Maguire received her citation for engaging students in real-world human rights practice and empowering students to pursue law reform and social justice. “I aim to expose students to Indigenised and culturally-sensitive programs in ways that influence their overall experience of higher education and influence their contributions to the legal profession,” Dr Maguire said. Dr Rodrigs has been teaching accounting for the past 11 years at the University of Newcastle and said it was his duty as an academic to encourage students to excel. “At the centre of my approach is a strongly held belief that genuine learning comes from deep engagement, which comes from creating a classroom climate where students are empowered to learn for themselves,” Dr Rodrigs said.